Home / FT Lite/ 12 years of enchantment! 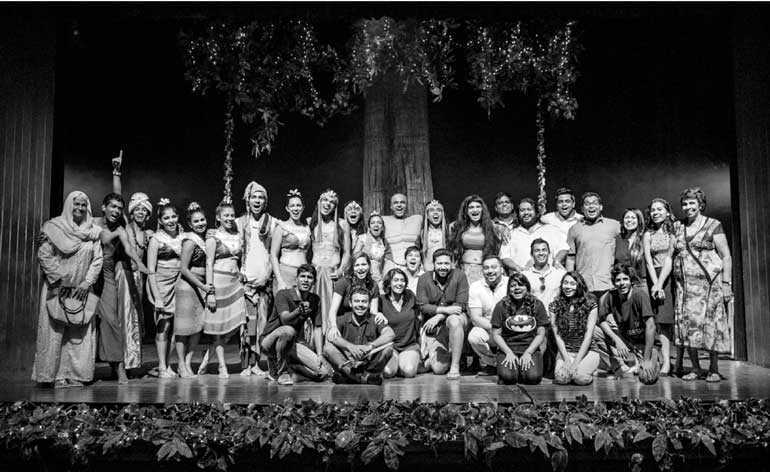 It was a night of magic and nostalgia with a generous dose of fairy dust, when the cast and alumni of the Jehan Aloysius’ hit production ‘Pyramus & Thisby’ celebrated its 12th anniversary at an exclusive event in Colombo. 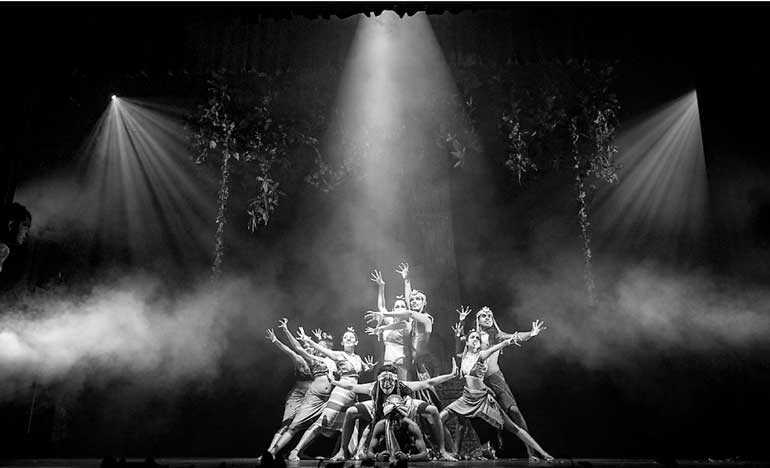 The show is an enchanting adaptation of Shakespeare’s ‘A Midsummer Night’s Dream’, set in low-country Sri Lanka. 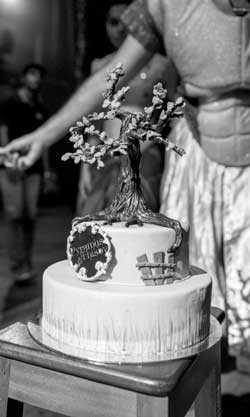 Members of the original cast and production team posed for photographs and cut a specially designed cake, expertly crafted by Ambrosia, in the shape of the mystical tree which is a central element in the show. The original team includes Avanti Perera who, with Jehan Aloysius, performed and arranged the fusion music. Lighting engineer Thushan Dias handled the lighting and has even travelled with the show overseas since the outdoor production. Hilma Salahudeen, who has stitched all the costumes for Jehan’s shows since 1992, stitched the detailed and dramatic costumes for this show. A visibly-emotional Jehan acknowledged the team and invited them to cut the cake and take a bow at the event. The show has been staged regularly since the first outdoor show at the St. Joseph’s College Quadrangle in November 2006. Over the years, the magic continued at various locations and cities both locally and overseas with many new actors and dancers joining the team. 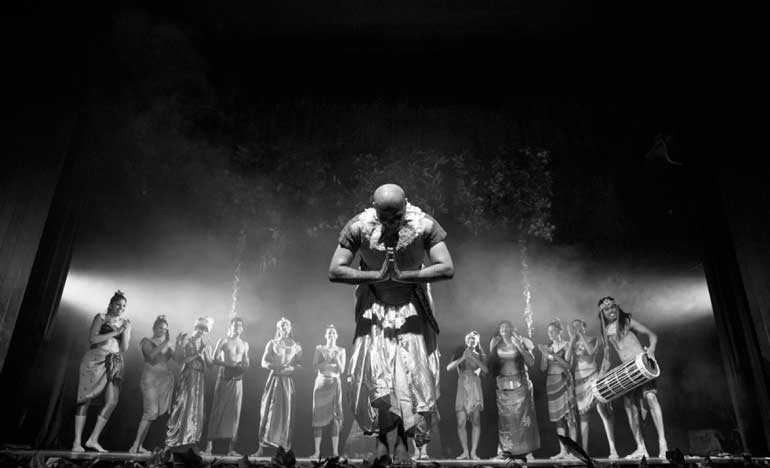 The show received standing ovations in Delhi, Ahmedabad and Kolkata while representing Sri Lanka at the Bharat Rang Mahotsav in 2016 and most recently at the Theatre Olympics this year. The production has been studied by university students since the first staging as well, with many choosing to write their dissertations and assignments on this vibrant production which brings together a variety of local theatrical traditions and music. Now Colombo audiences will have a chance to experience this spectacular show at a special night of magic on 7 July at the Lionel Wendt Theatre! Some of the show’s original leads are flying down for this special show, which promises comedy, dance and enchantment. 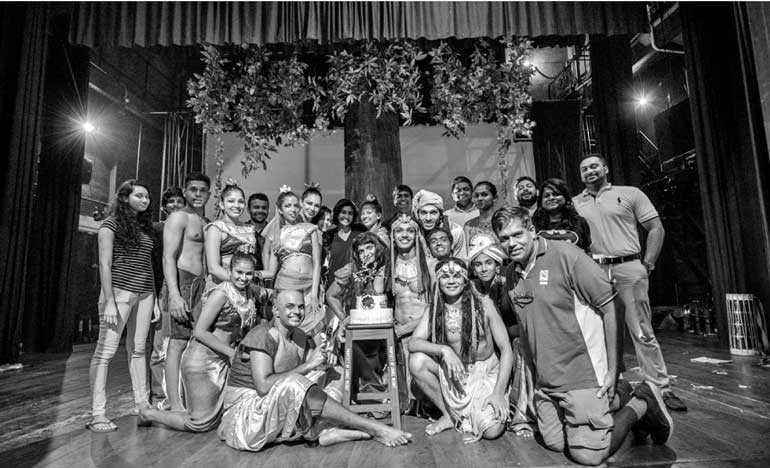 The cast includes Jehan Aloysius, Anuk De Silva, Heshan Perera, Dion Nanayakkara, Roshni Gunaratne, Upekha Daniel, Harshana Rathnayake, Prabhath Devindra and Kavishka Perera. The Box Office will open on 15 June at the theatre, but advanced bookings are strongly advised since many have already booked their preferred seats by text on 0772949767. The updated box plan is displayed on the Facebook event, ‘Pyramus & Thisby – A Magical Comedy by Jehan Aloysius’. Lite87 is the Official Radio Station.